Any idea what Uber, Paypal, Evernote, Dropbox, Amazon Prime and Airbnb all have in common? They’re all wildly successful AND they all used customer referral programs as a key part of their growth. Getting customers to refer their friends and family to you is probably the most powerful way to grow your business. Occassionally this happens naturally – particularly if you have a very unique offering – but more often, you need to put a framework in place to encourage news about your business to spread. Of course, one of the keys to being referred by customers to their friends is to be notable in someway in the first place. In other words, to get people talking, be remarkable (we’ve got some practical ideas for becoming more remarkable here). But in addition to that, structured Customer Referral Programs can do wonders for many types of businesses – and the successful businesses utilise them more than you might think. All the businesses mentioned above use (or used) structured customer referral programs which literally paid people to invite their friends. For example, Airbnb ran a program where you received $100 credit for each of your friends that signed up and made a booking. This may sound crass, but customer acquisition costs money whichever way you do it so businesses might as well recognise this and use their existing customer base as the source for new customers. Referral Candy has a very comprehensive article which provides many examples of referral programs for ecommerce businesses. The mechanics of these programs usually involve giving customers a specific link to send to their friend. When the friend clicks on that link it sends them to a special page which puts a cookie on the friend’s computer so that if they signup or purchase within a certain time frame, the business can track which customer referred them and give them the necessary credit. A more low-tech way of doing something like this is to ask the new customer to name the person that referred them – and then reward the customer in a more manual fashion. “Bring a friend” promotions are usually periodical and you simply encourage your customers can bring someone along for free to experience your service for themselves. This can work well for gyms, classes, facilities, etc. You can also hold open days when you encourage customers to showcase your business in front of their friends. In a similar vein, you could hold an event that is designed for customers to enjoy, but also for them to bring along their friends and family. This can work for most types of businesses as the event can either be centred around the business (eg the launch of a new car or training in a new computer system), or the event can be entirely separate from the business (eg a movie opening, a fun trivia night, etc with a short welcome from the business). A very simple way to get customer referrals is to give your customers a discount card or code that they can give to their friends. For example, if you’ve just finished a project for a customer, you could send them a thank you along with 3 cards offering a free consultation or a discounted upgrade of your services. Or, if you’ve just delivered a product to a customer, include a couple of cards which they can give to their friends which provide a discount on their first orders. You can also run an official customer referral reward program where you tell customers that they will get a specific reward for each new customer they refer. These usually works best if both the referrer and the referee are rewarded. Rewards can be in the form of a discount on your products/services, a free add-on to your product/services, or an entirely different gift. You can run these kind of promotions periodically, or throughout the year. If you’re doing the latter, you could figure out how to build it into your sales cycle. For example, if your business sells a one-off type product/service, you send an email once the work is complete to ask if they’re satisfied with the project/product and then also use that opportunity to let them know about your referral program. Or, if your service is more ongoing in nature, after their 3rd visit you could invite them to participate in your Referral Reward Program with an automated email. If you feel an official referral reward program is too crass for your type of business, you can simply reward those customers that do refer customers to you. If you track where your customers are coming from and learn that a new customer was referred, arrange to send the referring customer some sort of gift with a thank you note. They’ll be pleasantly surprised and more likely to refer you again. Flowers, food hampers, gift vouchers, discount cards can all work well. Even a personal phone call thanking them for their referral will have a great impact. An overt way to do this is to give a reward to customers that post about your business on their Facebook, Twitter or other social media accounts. The reward might be something like a free drink, extra treatment, a discount off the next time they use your service, or it could be a separate gift unrelated to your service. A more subtle tactic is to give people something worth posting about. A travel tour I was recently on went to great lengths to take great photographs of my family and I as we enjoyed a trek through the desert by camel. The clever thing was that our guide did this using our own phone. Of course, when we were back in wifi range, we posted our best photos on Facebook and espoused the highlights of the trip. And even though I didn’t tag the travel tour company, several friends have since requested their details as they plan their future holidays. I also know of a car retailer who makes a point of taking a great photo of each customer smiling alongside their brand new car. The business then posts this in their social media but also tags the customer (with their agreement). This ensures that the customers’ friends see how happy they are with their new purchase and makes that car dealer top of mind for their next purchase. Even if you don’t involve the customer’s social media account, you can still improve your social media and the likelihood of referrals by making it all about your customers. A fantastic way to increase engagement on social media is to make it personal. For instance, if you’re a hairdresser, take a photo of each client’s hairdo and post that to your Facebook page. Or create a blog and do a new post each day with a photo of each client’s hairdo. You could also do this if you are a tradie – eg a cabinet maker could include a photograph of each finished product. Another great tactic for customer referrals is to team up with other businesses. One-by-one, find businesses that are complementary in your field and make a point to get to know the owner (perhaps even organise get togethers where your teams can both meet). Figure out ways that you can refer some of your own customers to them and make sure you let them know. 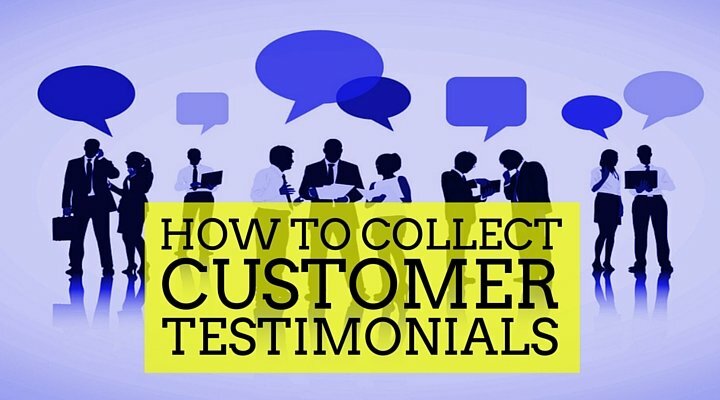 Also talk about how important customer referrals are to your business and be sure to demonstrate your commitment to customer satisfaction so that they can feel confident in sending customers your way. Some examples of great collaboration partners of businesses include; hairdressers and beauty salons, gyms and massage therapists, accountants and financial planners, real estate agents and conveyancers, electricians and plumbers, dog groomers and dog walkers / minders, etc. Yet another more subtle way to attract referrals is to help people know that their friend is a customer of yours. An implied referral program involves doing things to make it very obvious that your business is doing (or has done) work for someone, without necessarily asking for referral. This sets up a situation where a friend or neighbour might simply ask your customer for your details. Examples can include signage out the front of their house, signage on your vehicles (if you work onsite), or giving your customers branded items that they might use in public (canvas bags, hats, tshirts, etc).